The whole Mishkan consists of this magical paradox, creating defined space for the infinite G-d of all. This is expressed through every aspect: the materials, colors, artifacts, and more. Any step off the instructions, will land us in idolatry on one hand, and utter nonsense and nothingness on the other. Furthermore: G-d does not need a house at all. Why build it?? In this succinct 5-words-verse, a whole ideology is folded: If we join together to build a place to house the Divine, the Divine will dwell – not in it, but among us. Ok, fine, we’ll build this “thing”. But how? Should we just use our creative powers, establish committees, brainstorm ideas, get permits, compete for the best drawings, set up an extensive a fundraising campaign?? ‘Don’t get creative on Me’, says G-d; ‘do it exactly as I show you’. Which is greater: to do our own thing, “freely” or to do G-d’s thing?? The Torah tends to think it’s much harder to follow directions. In that sense, I think the Torah portions of the construction of the mishkan describe the greatest miracle ever. G-d can always split a sea, shake a mountain, flood the earth and make a bush burn and not be consumed. But for us to follow directions? To work wholeheartedly in unison? To donate what we have? And for all of to come together and turn out to be something amazing and meaningful which houses the Divine? That is a miracle. But these words – כְּכֹ֗ל אֲשֶׁ֤ר אֲנִי֙ מַרְאֶ֣ה אוֹתְךָ֔ – “Exactly as I show you”-which in English make sense, in Hebrew can have an additional meaning. The text should have said – ככל אשר אני מראה לך– exactly as I show to you, and not with the direct object, אותך – otcha. Accordingly, we can imagine G-d saying to Moshe: ‘the Mishkan, My dwelling place, is going to look exactly like you! Please, stop running around, solving everybody’s problems and sit still for a minute so I can draw you, the closest to perfect being there is on earth, and from that sketch submit the plans for the mishkan’. And Moses said, ‘me??? Look, I didn’t even shave this morning! They’ll see my wrinkles! And all my flaws! How about You pick someone different, maybe one of Aaron’s good-looking sons, or how about my beautiful wife’? And G-d said, ‘don’t get ahead of yourself. You are indeed the closest to perfection but you’re also just like any other human being, and I want My place to remind everybody of the deep, soulful connection between us’. 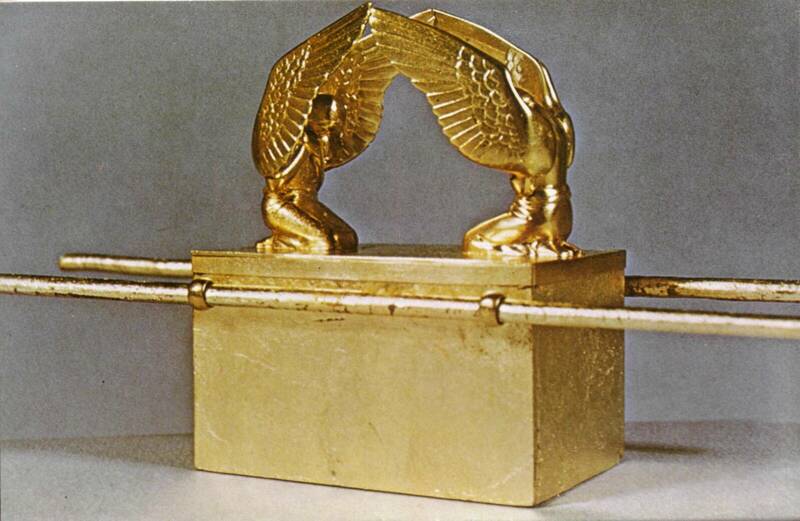 This is why some say that the Mishkan’s artifacts resemble a human being (the altar being a smile and more), and some say that its structure resembles the various levels of the soul, one inside the other, until the inner most holy of hollies which is hardest to access and rarely anyone gets to see. Rashi based on the Talmud (Sanhedrin 16) comments on the words —- “so shall you make it” –and adds ledorotam” “forever” / “for future generations”. Does he mean that we will build the same mishkan over and over again? How is it possible? And why would someone who lived 1000 years ago, when this Mishkan was long gone, state that?? Rather, we might not build the same exact tent structure with the same colors, measurements and objects, but we should always aim to build a “mishkan” in our own time, whether at home or elsewhere, for G-d to live among us.